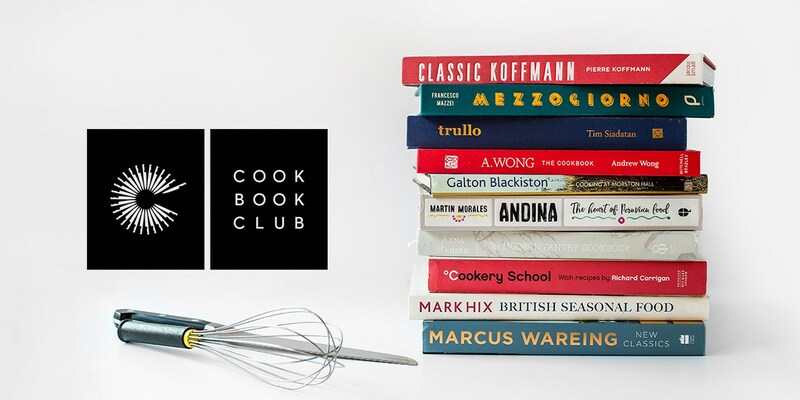 Welcome to the Great British Chefs Cookbook Club! Find out how it works, how to get involved and what prizes you can win. Even with the vast number of recipes available on the internet these days, there’s nothing quite like leafing through a beautiful book full of recipes. It’s a medium that’s stronger than ever before, with cookbooks topping bestseller charts throughout the year. If you’re anything like us then you’ll have shelves upon shelves of them in your home – some kept in pristine condition, others earmarked, stained and scrawled over after years of use. It’s this national love for cookbooks that has prompted us to start our very own cookbook club. Each month we’ll select a cookbook that we think stands out from the rest and ask you, the Great British Chefs community, to cook a recipe from it. 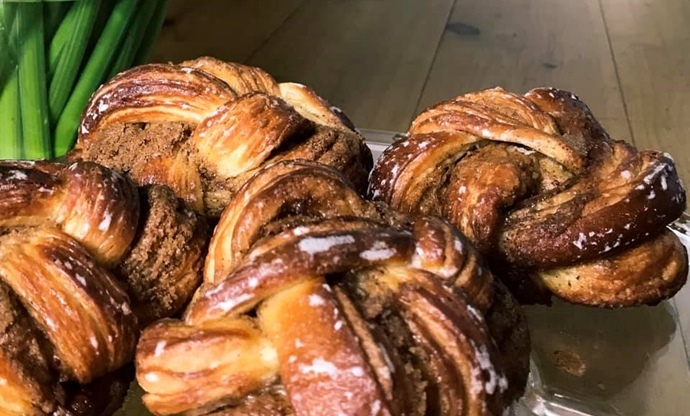 We’ll publish a small selection of recipes on our site so, even if you don’t already have the book, you can still get involved and see how your cooking compares to everyone else’s. Apply to join the Facebook group here and take a look at this month's book (and recipes) below. We've also included the winning post from last month's book, as well as some of our other favourite entries. Apply to join the Cookbook Club today! Click here to apply to join our cookbook club, meet likeminded home cooks and share your creations for the chance to win prizes. Please make sure to answer the two simple introductory questions to speed up your application. Moroccan food has been enjoyed in the UK for years now, but it tends to begin and end with chicken tagine. While there's nothing at all wrong with that (it is a delicious dish, after all), there is so much more to Moroccan cooking that's yet to be discovered. 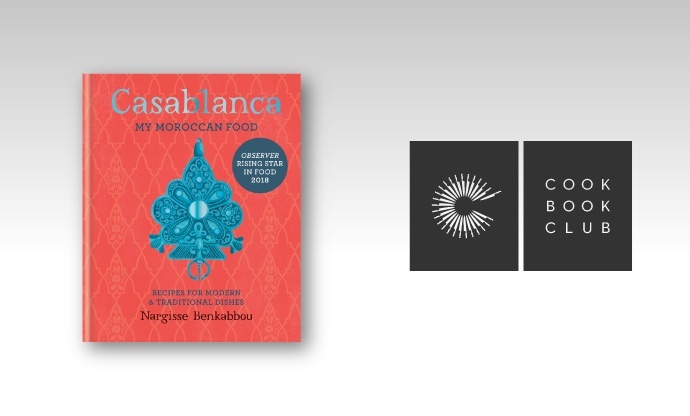 This month's cookbook – Casablanca: My Moroccan Food – aims to prove just that. Kebabs, warming spiced stews, fresh vibrant salads, decadent desserts – these are all the dishes that make Morocco such a fantastic place to eat. 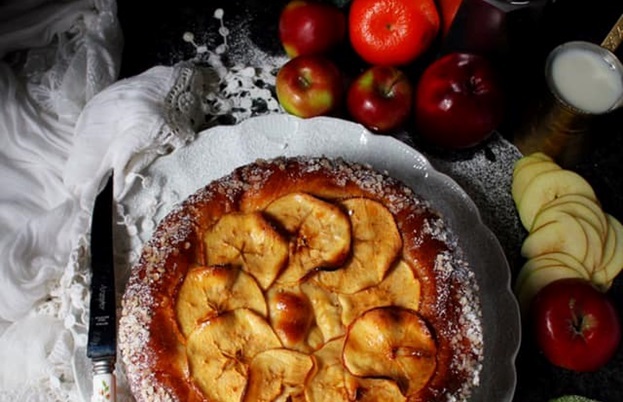 Nargisse Benkabbou pays homage to all of these in her debut book, but also adds in plenty of contemporary twists to breathe new life into the cuisine. For a taste of what’s inside, take a look at the three recipes below. However, to get a fuller understanding of this fascinating cuisine it’s definitely worth picking up this love letter to Moroccan cooking – head over to Amazon to bag yourself a copy. 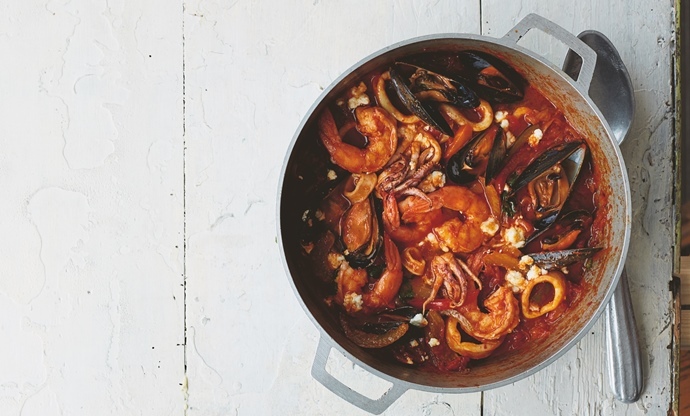 A veritable celebration of the ocean, this tagine puts squid, mussels and prawns in the spotlight, with the tomato sauce gently spiced with warming ginger, cumin, turmeric and cinnamon. An easy to make one-pot dish that's brimming with flavour, this is a fantastic example of how tagine can be much more than the standard chicken-and-apricots combination it's often associated with. 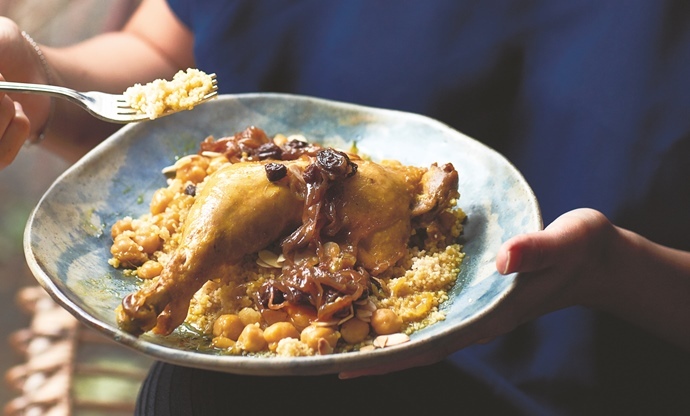 Fluffy couscous is one of Morocco's most iconic ingredients, and here it's served alongside chickpeas and chicken in a tfaya sauce – a tangle of caramelised onions, honey and raisins. This gives the dish the sweetness that's prevalent throughout a lot of Moroccan cooking, and results in a fantastic flavour. It also only takes just over an hour to cook from scratch. For a vegetarian dish that can be served as a starter, a side or the main event, these baked aubergines offer bags of flavour. 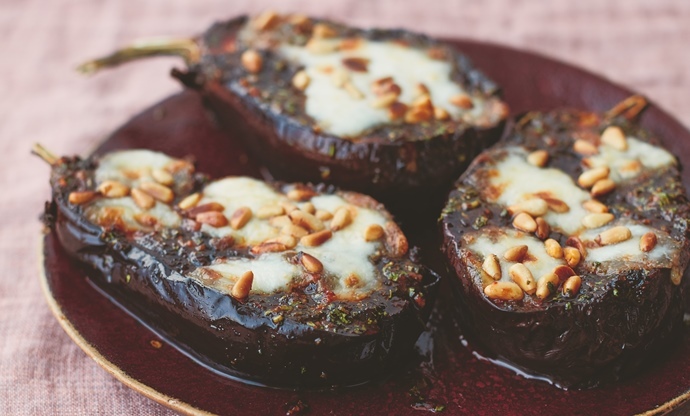 The melted mozzarella, the crunchy pine nuts and the sweet, zingy chermoula all come together to create a perfect topping for the silky aubergines underneath. Last month we baked up a storm with Richard Bertinet's seminal book Crumb. 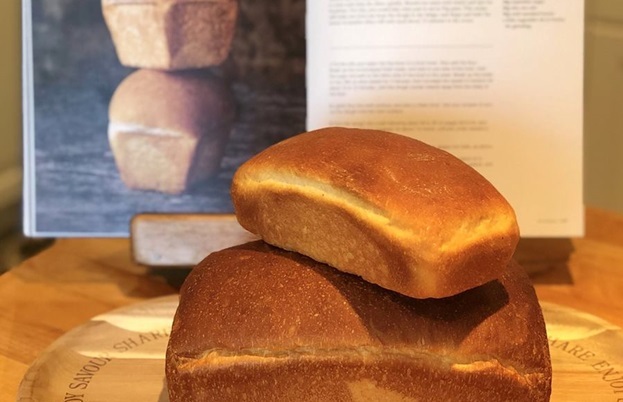 Cookbook club members eagerly watched bowls of dough slowly rise, worked up a sweat kneading flour and water together and created some fantastic loaves in the process. 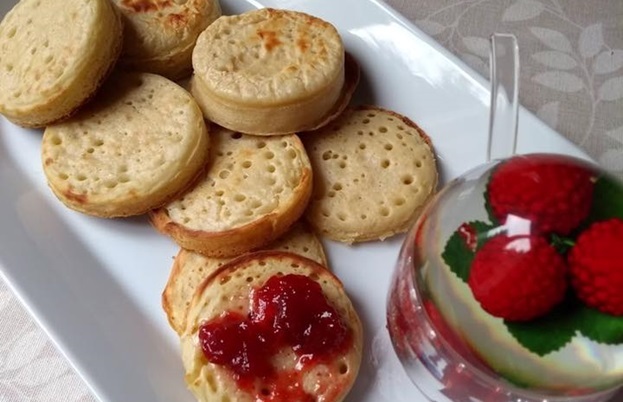 Congratulations to Jan Fisher who took the top spot this month – she wins a cookbook! 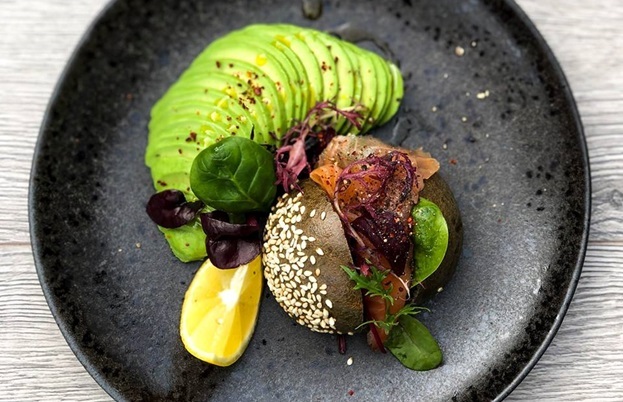 Take a look at her dish and all the other honourable mentions below. 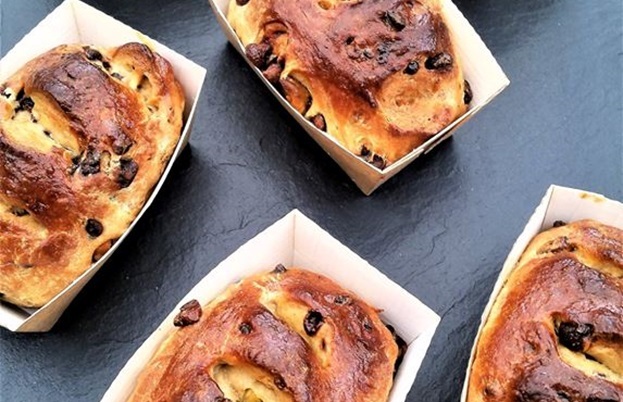 James Hodson's chocolate, pistachio and orange loaves were a triumph of baking – where's our slice?! 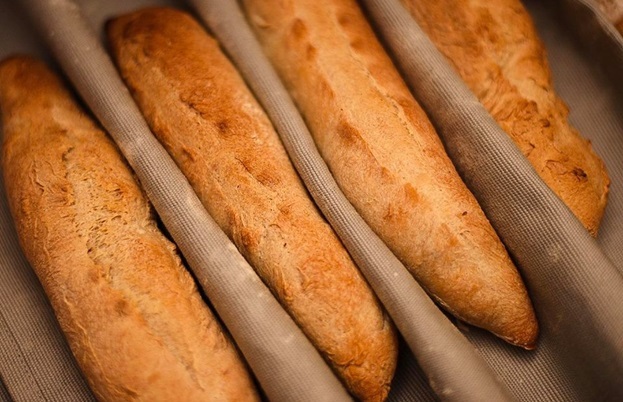 Russell Barrett's baguettes were très bon! Make sure you post photos along with commentary of the dishes you cook from Casablanca: My Moroccan Food in our Facebook group to be in with the chance of winning.